Addictions & Mental Health Ontario (AMHO) is committed to building a comprehensive and accessible system of care for addictions and mental health, which improves the well-being of all individuals, families and communities in Ontario. Our work is rooted in our vision for a better system for addiction and mental health. Snapshots are short summaries outlining evidence, Ontario examples and policy recommendations on topics that are essential to improving the mental health and addictions system. These Snapshots can be used as a resource by service providers, policymakers and system managers in their advocacy, service design, system planning and decision-making. In 2014, Ontario created the Mental Health and Addictions Leadership Advisory Council (the Council) to advise the Minister of Health and Long-Term Care on how to implement Ontario’s Comprehensive Mental Health and Addictions Strategy (the Strategy) over a 3-year period. There were 20 members of the Council, including Gail Czukar, AMHO’s CEO. The full list of members of the Council can be viewed on the Council’s website. Make it easier for young people to transition from youth to adult mental health and addictions services and supports. 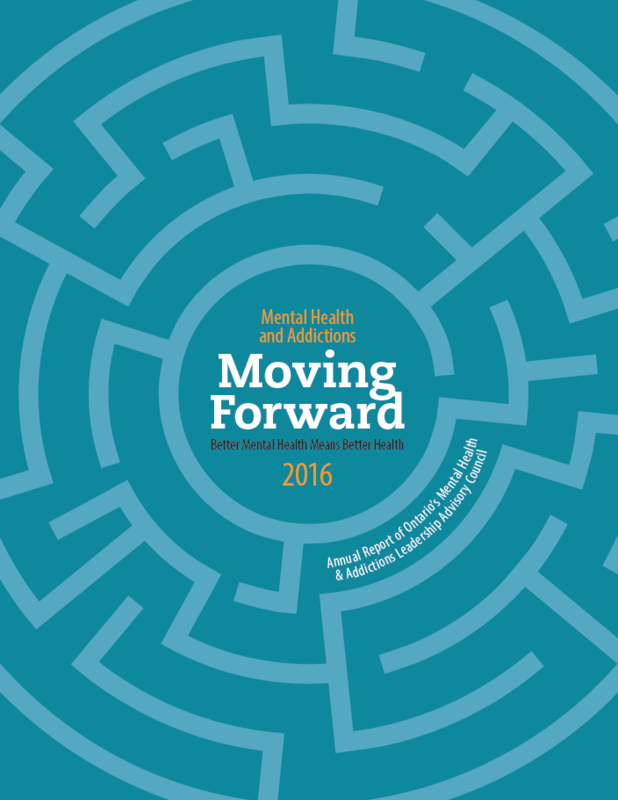 In the second annual report in 2016, titled Moving Forward: Better Mental Health Means Better Health, the Council identified youth, housing, quality and Indigenous partnerships as the four key areas of progress. The report was released by the Ministry of Health and Long-Term Care coinciding with an announcement of $140 million investment towards mental health and addictions over the next three years. Close critical service gaps: That the Ministry of Health and Long-Term Care address the chronic gaps in youth addiction, psychotherapy and supportive housing. Finding mental health and addiction services can be frustrating. There are a variety of approaches, and organizations. Some services are privately funded. Waiting lists for the publicly funded programs are often discouragingly long. In different Ontario regions health system administrators have developed mechanisms to streamline access to publicly funded mental health and addiction services. There are a variety of “coordinated access” mechanisms in place. These are programs like Here 24/7 in Waterloo Region, and the Access Point in Toronto. Working closely with government – and with the support of the Ministry of Health and Long-Term Care – AMHO has undertaken efforts to document and assess Ontario’s programs for coordinating access to mental health and addiction services. 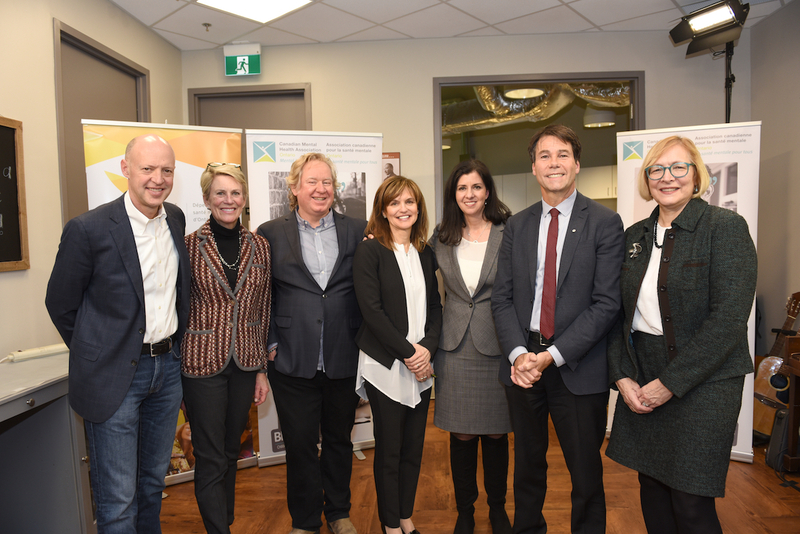 This work has been a collaboration with Dr. Brian Rush of the Centre for Addiction and Mental Health (CAMH), as well as CAMH’s Provincial System Support Program. The first step was to document existing models. 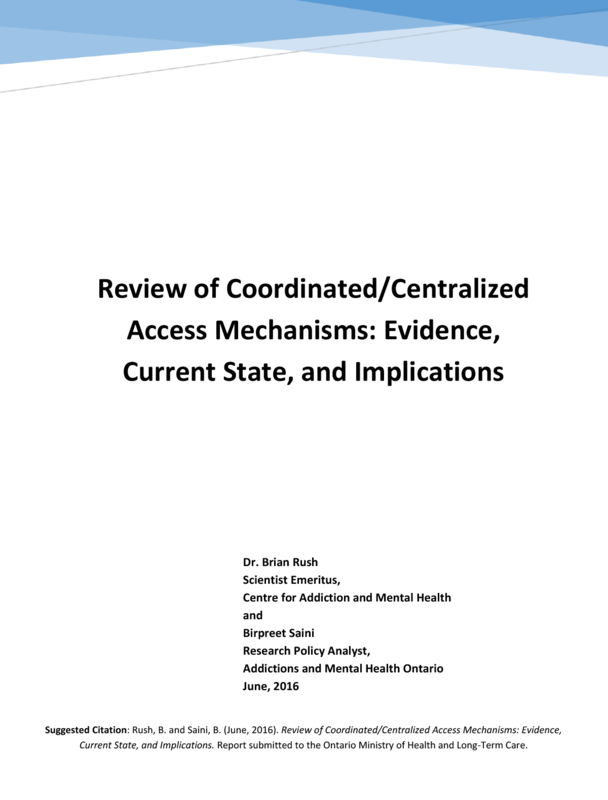 In 2016, the Review of Coordinated/Centralized Access Mechanisms: Evidence, Current State and Implications was released. The second step was the production of a report that assessed the effectiveness of existing coordinated access models. Evaluation of Coordinated Access Mechanisms was completed in 2017. In February 2017 Ontario’s Minister of Health and Long-Term Care announced the launch of a provincial structured psychotherapy program. This was a response to a recommendation from Ontario’s Mental Health and Addictions Leadership Advisory Council. Structured psychotherapy programs are being offered by Ontario’s four specialty mental health hospitals, in collaboration with community partners. For more information please contact Royal Ottawa Hospital, Ontario Shores, Waypoint, or the Centre for Addiction and Mental Health. 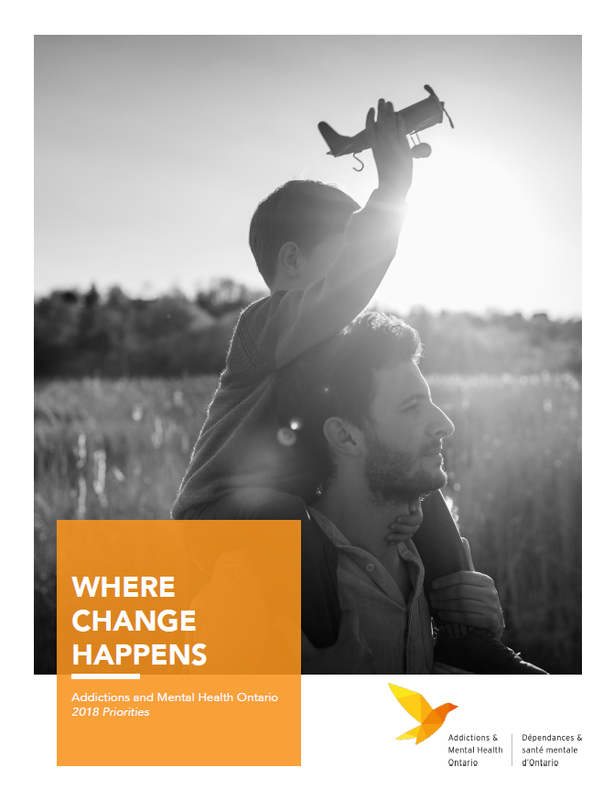 The Canadian Mental Health Association (CMHA) Ontario has expanded access to Bounce Back, a coaching program that includes telephone support and instructional workbooks. Bounce Back is intended to address problems related to moderate depression and anxiety. More information is available here. The Ontario Telemedicine Program has launched an on-line self-management tool, the Big White Wall. More information is available at here. Since 2016, the Excellence through Quality Improvement Project has been working with the community mental health and addictions sector to enhance the ability of agencies within this area of healthcare to understand and apply quality improvement methods. E-QIP has offered QI project coaching support to agencies, an extensive training and education program and developed an online community of practice to continue that is a portal for QI resources and sharing. E-QIP is a collaborative initiative of Addictions and Mental Health Ontario (AMHO), Canadian Mental Health Association (CMHA Ontario), and Health Quality Ontario (HQO). Together these organizations are supporting Ontario’s community mental health and addiction service providers to make care better by enhancing a sector-wide culture of Quality Improvement (QI). 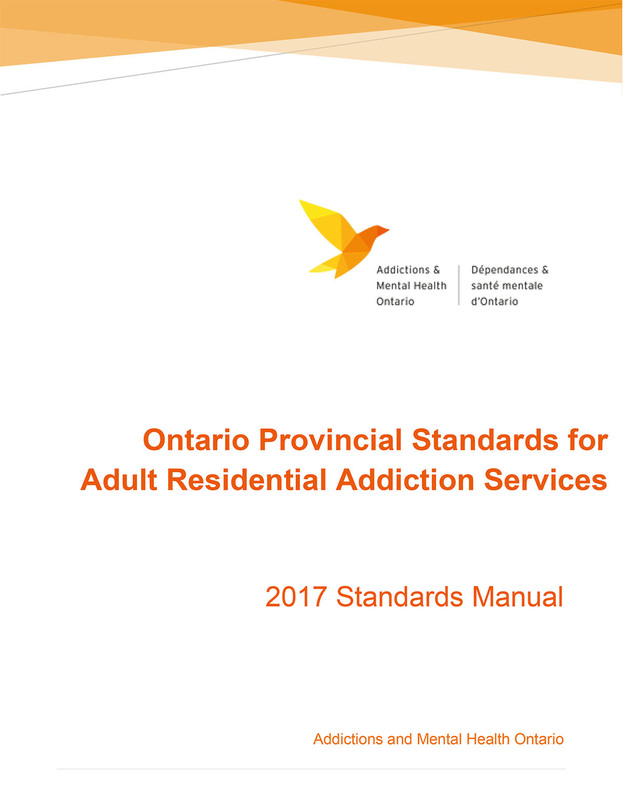 The Evaluation of Residential Support Services* project set out to look at best practices associated with adult residential addiction treatment in Ontario. Based on this analysis of best practices, the project developed standards for residential addiction treatment (see below). 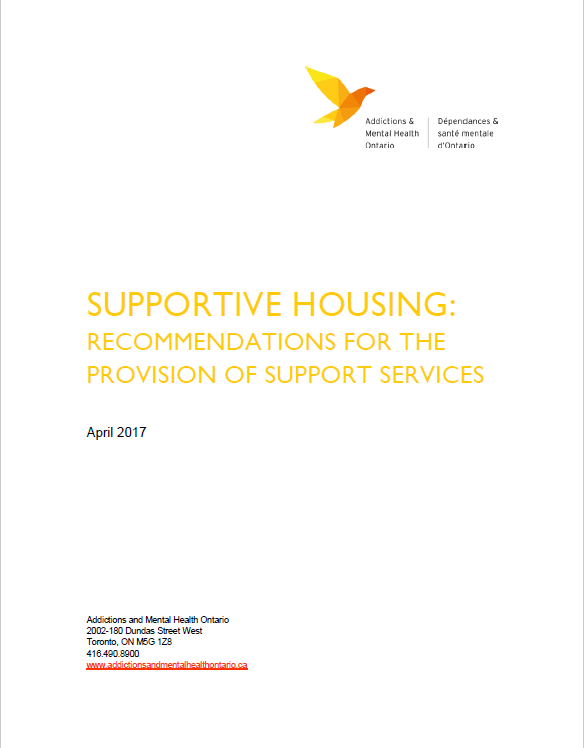 *The Evaluation of Residential Support Services project is one of the 12 Ontario Drug Treatment Funding Programs, funded by Health Canada as part of the Treatment Action Plan under the Federal National Anti-Drug Strategy (2007). The Best Practices in Peer Support* project aims to identify best practices for active engagement with mutual aid/self-help and peer support resources in mental health and addiction. The final report provides information and resources to ensure peer support services are provided in the best way possible and are appropriately incorporated into the addiction and mental health system. Capacity building: How to meaningfully engage people with lived experience at the systems level? Public speaking: What are the promising practices to create training for PWLE to share their story? Training: What currently exists for peer support training; what are the gaps and barriers in training? 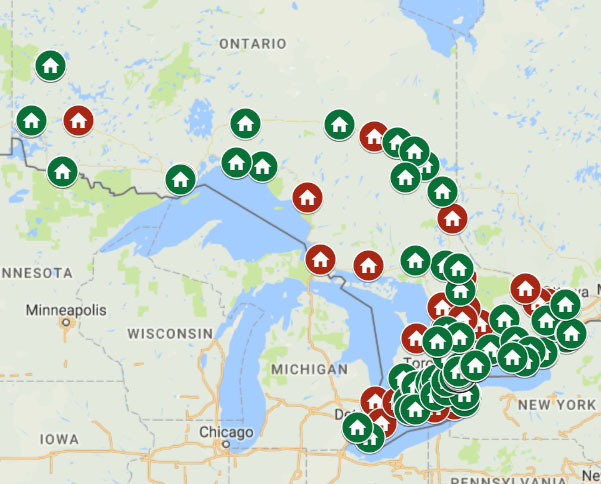 As part of this work, the project mapped where providers across the province are implementing peer support programs. *The Best Practices in Peer Support (BPPS) project is one of the 12 Ontario Drug Treatment Funding Programs, funded by Health Canada as part of the Treatment Action Plan under the Federal National Anti-Drug Strategy (2007). Map of provider implemented peer support programs. Click on the map for an expanded view. 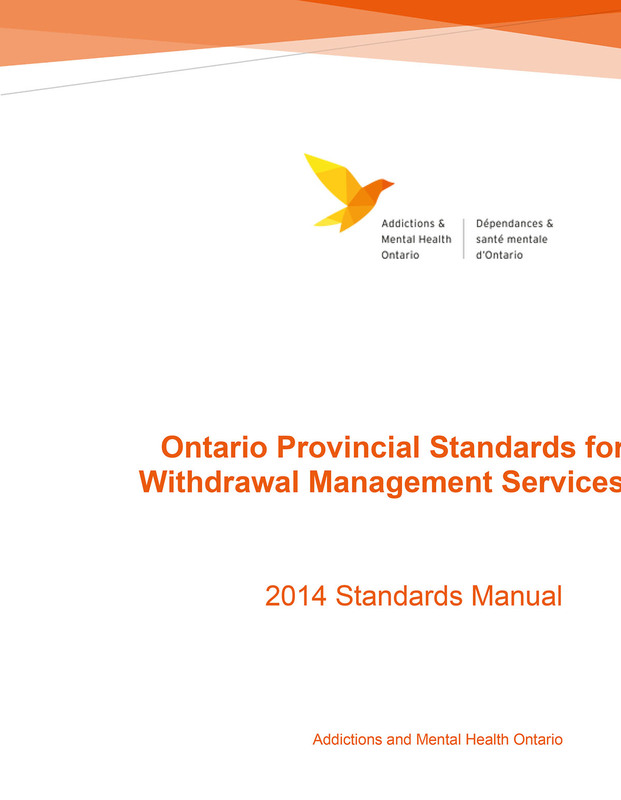 The Ontario Withdrawal Management Standards (2014) set out minimum standards of professional and clinical practice to guide the operation of Withdrawal Management Services in the Province of Ontario. They were developed in consultation with the withdrawal management services sector, and build on previous versions of the standards. This report explores almost 40 vocational and educational offerings across Ontario. Our members know a thing or two about change. Addictions and Mental Health Ontario represents the organizations that provide front line care in our communities. 1. Improve access to services by keeping good people. 2. Plan better services by collecting better data. 3. Help more people by hiring more people. 4. Enable more recovery by building more safe places. Pre-budget consultations are an important opportunity for AMHO to share our members expertise and provide recommendations to the government about how to build a more comprehensive and accessible system for addiction and mental health. This year’s federal pre-budget consultation asked Canadians to share their recommendations on how to build more productive workplaces and communities. AMHO and our 220+ members see firsthand the impact of mental illness and addiction on productivity and the health of our communities. Each week, 500,000 Canadians will miss work due to a mental health or addiction issue, and the Conference Board of Canada has estimated that untreated mental illness and addiction costs the Canadian economy upwards of $50 billion a year. Target investments from the National Housing Fund into supportive housing for those with mental health and addiction issues. The Health Accord investments in mental health and addiction are a welcome start. But Ontario currently spends only 6.8% of our healthcare budget on addiction and mental health. Other jurisdictions invest at least 9 to 10%, and the UK 13%. 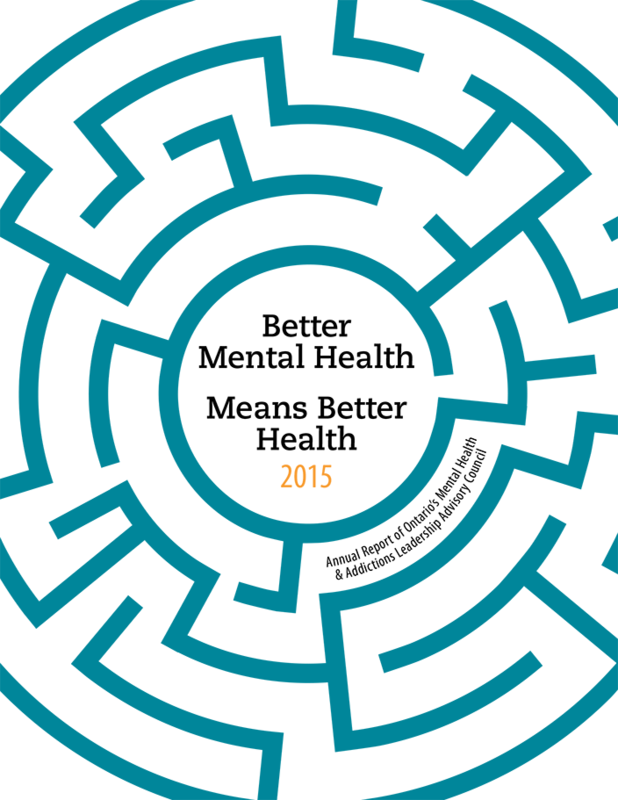 The Mental Health Commission of Canada recommends increasing investments to a minimum of 9%. In Ontario, at current health spending levels, the health transfer in year 5 will bring mental health and addiction spending up to 7.3% of the total health budget – an improvement, but we still have a long way to go. AMHO’s 2017-2018 pre-budget recommendations are directed towards making it easier for Ontarians to access comprehensive addiction and mental health care by investing in community-based services and supports. Provide a 3 per cent base budget funding increase for the community mental health and addiction sector, who have not had increases to their operational budgets in five to ten plus years. Ensure the response to the opioid crisis focuses not only on saving lives, but on ensuring people have access to comprehensive community-based treatment and the opportunity to rebuild their life. Core services: Work towards ensuring that all Ontarians, regardless of where they live, have access to the same core mental health and addiction services. Supportive housing: Provide greater access to supportive housing to help people in their recovery by funding the implementation of the Supportive Housing Strategy developed by the Council, which calls for the creation of a minimum of 30,000 units with supports over the next ten years, and is essential for the province to deliver on the strategy to end homelessness. Youth: Address the critical service gaps for mental health and addiction services for youth by increasing investments in additional staff and capacity. Direct future tax revenue from the sale and distribution of cannabis to increase the capacity of addiction and mental health prevention and treatment. Click here to read our full provincial pre-budget submission 2016/2017. With the upcoming legalization of cannabis, Canadian governments have a once-in-a-generation opportunity to place public health at the center of cannabis policy. Governments also have access to a body of evidence that demonstrates how this can be achieved. 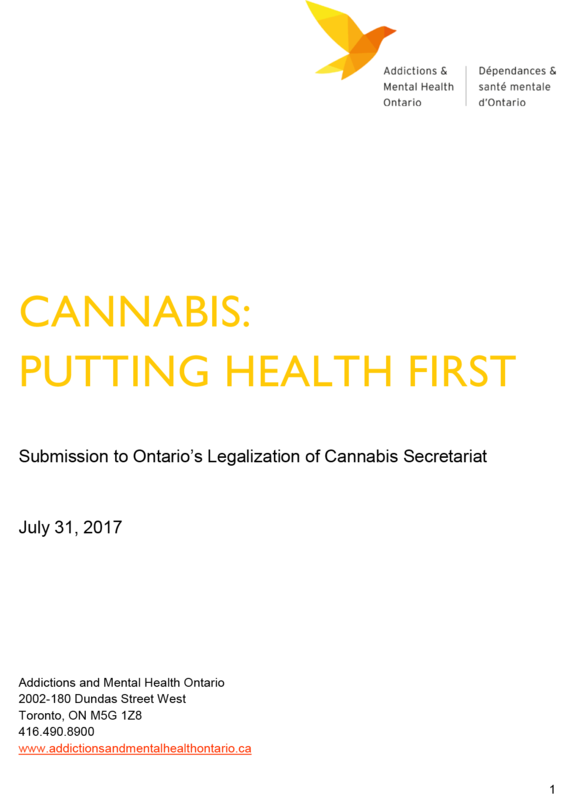 AMHO’s main message to government is straightforward: use evidence to address the demonstrated harms associated with cannabis use, including cannabis dependence. Whether legalization will lead to increased cannabis use or dependence is unclear, and will need to be evaluated. But cannabis is already the presenting drug dependence issue for about one-third of the cases that are reported by Ontario’s specialized addiction treatment services. Ontarians seeking help for substances through publicly-funded programs are looking at wait times of months to years to access treatment. That’s why AMHO recommends that the government both invest upfront as well as earmark future revenues to be invested in greater capacity for addiction and mental health services, in addition to public education and prevention. 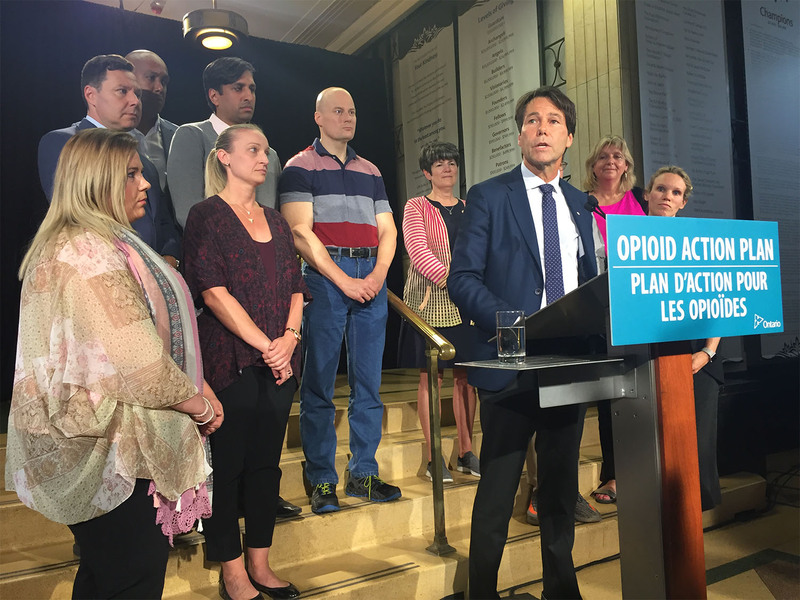 Ontario’s response to the opioid crisis needs to focus not only on keeping people alive, but on enhancing supports and services to assist people in their recovery. This is the central message in the joint response to Ontario’s Strategy to Prevent Opioid Addiction and Overdose delivered by Addictions and Mental Health Ontario (AMHO) and the Canadian Mental Health Association (CMHA). The evidence shows that accessing services and supports in the community increases recovery rates for people seeking treatment for opioid use. Our response provides feedback on implementation of the strategy, and delivers recommendations for how the province can ensure people have access to the services and supports they need to recover. It’s important that the work AMHO and our members do is sustainable so we can ensure high quality and accessible services now and in the future. AMHO is delighted to be a partner in an exciting, multi-year leadership initiative that will transform the leadership landscape in community and primary health care. The centrepiece of this initiative is the LEADS Learning Series—Canada’s gold standard in health leadership development. Over the next two years, LeaderShift will deliver 22 cohorts of the LEADS Learning Series across Ontario and will also build and strengthen leadership through e-learning, a leadership conference, and more. The privacy toolkit was developed to support community-based mental health and addiction service providers in meeting the requirements of the Personal Health Information Protection Act (PHIPA), which came into effect on November 1, 2004. 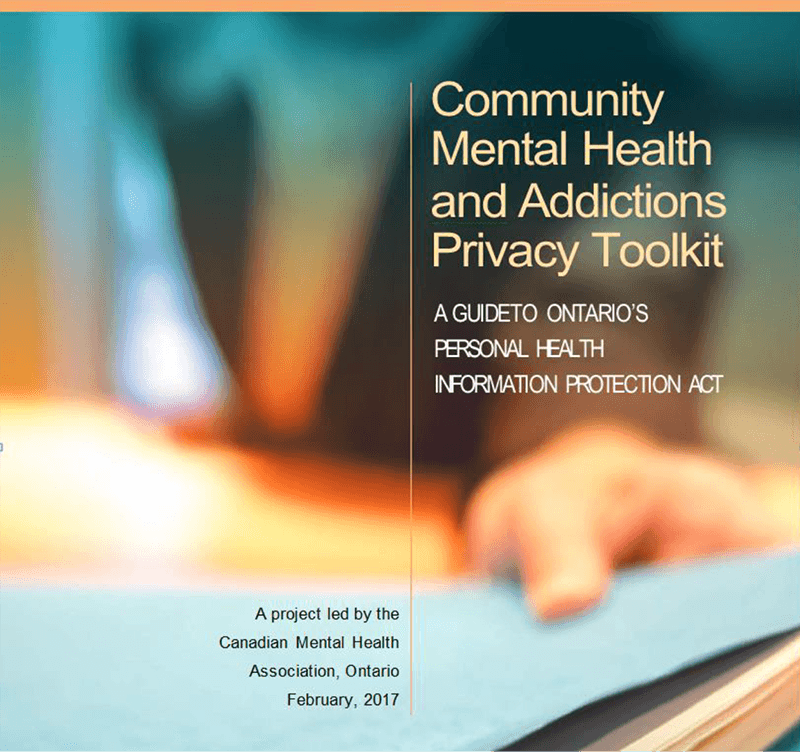 The 2017 Toolkit amendments presented in the toolkit were authored at the invitation of CMHA Ontario by Mary Jane Dykeman (DDO Health Law), with Anna Tersigni Phelan (CMHA Waterloo Wellington). This Toolkit was first published in September 2005. 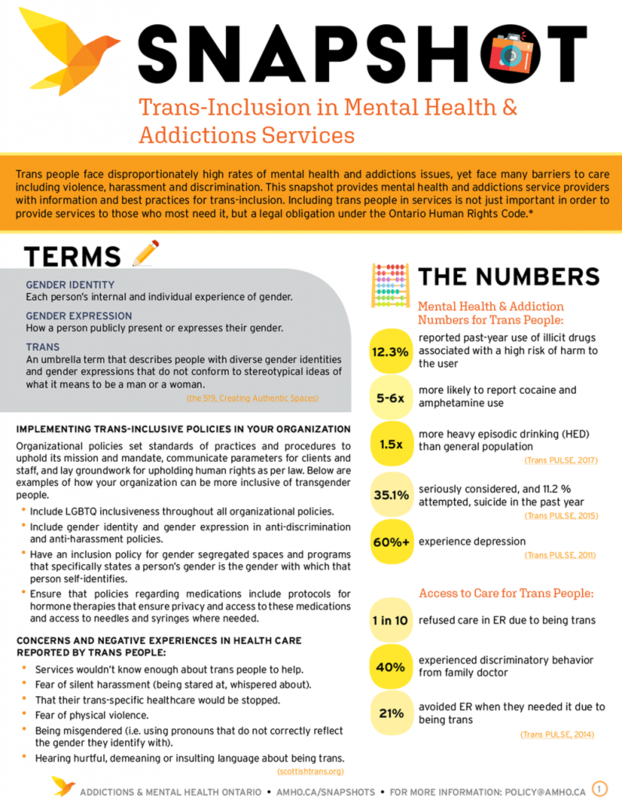 Its principal author was Mary Jane Dykeman, consultant to CMHA Ontario, in association with then CMHA Ontario staff, Ministry of Health and Long-Term Care staff and an advisory group of community mental health and addictions representatives, who are listed in the report. As well as explaining the new legislation, the toolkit provides templates which allow service providers to meet the requirements it sets out. There are also scenario-based question-and-answer sections which help illustrate how the legislation applies to our specific sector. The information is presented in a clear, user-friendly format, and we hope that it conveys a complete picture of how PHIPA will impact the work of community-based mental health and addiction service providers. The toolkit was funded by the Ministry of Health and Long-Term Care to address a need identified by community-based mental health and addiction service providers.